Are you among the millions of Americans who have high aspirations for how you’ll spend the extra time during your post-retirement years? Whether you plan to travel the world, pick up fly fishing, spend more time woodworking or sign up for a golf league, your physical fitness level will be a factor. One study suggests that the fitness declines we typically attribute to advancing age are largely caused by living sedentary lifestyles—which are on the rise due to the prominence of desk jobs in the workplace and activity-limiting personal technologies including smart phones and voice-activated remote controls in the home. Still, this runs contrary to the widely held belief that any declines in our physical abilities are caused solely by biological aging. Do we really have control over how active we’ll be in our “golden years”? In a word, absolutely. The study—which examined 900,000 running times of marathon and half-marathon participants aged 20 to 79—found no significant age-related performance declines in those younger than 55 years old, and only moderate declines among the older cohorts. In fact, more than one-quarter of runners aged 65 to 69 were faster than half of the runners aged 20 to 54. And for those thinking that these runners must have been lifelong enthusiasts of the sport, the study revealed that 25% of runners aged 50 to 69 were relative newcomers—and had started marathon training within the previous 5 years. The researchers concluded that even at an advanced age, people in the “non-athlete” category who engage in regular training can reach high performance levels. If this revelation is intriguing, then perhaps it’s time for you to get moving! If you aren’t currently active, then you likely have questions and concerns about where to start. And if you regularly engage in physical activities, then you’ve probably set goals that you’d like to achieve. Either way, there’s no shortage of tools and resources to help you live a more active lifestyle but one reliable place to start is with a physical therapist. The benefits of beginning with a physical therapist consultation are many: PTs are trained to assess your abilities and limitations, consider your health concerns, demonstrate safe exercises and build a plan to increase strength, function and mobility. 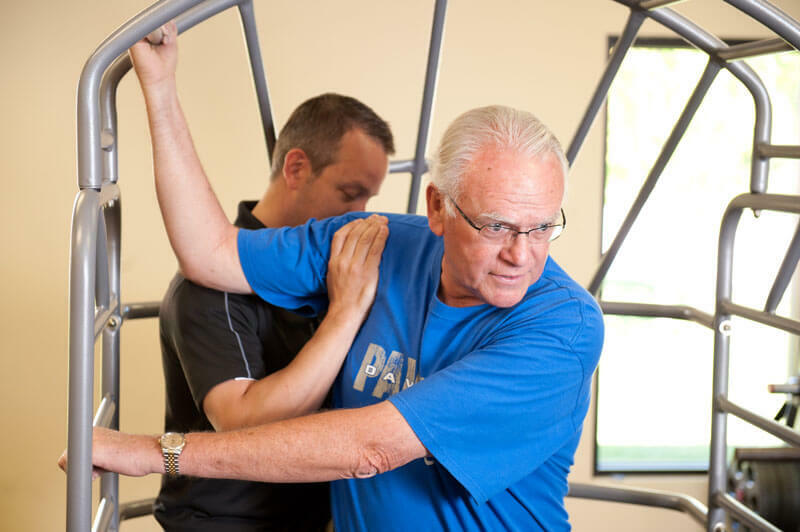 Whatever your passion is, physical therapy will help you be fit and injury-free so you may enjoy life’s many pursuits.